This post is sponsored by Milk-Bone Puffs. All thoughts and opinions are my own. Are you a dog lover? 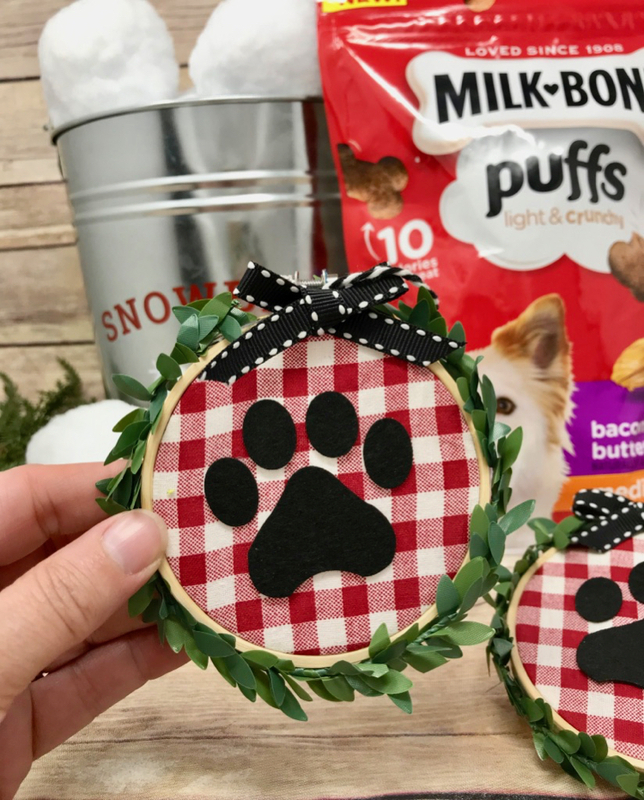 Since do many people consider their dog as a member of the family, we’ve got a great way to spread holiday cheer to the dog lovers in your life. 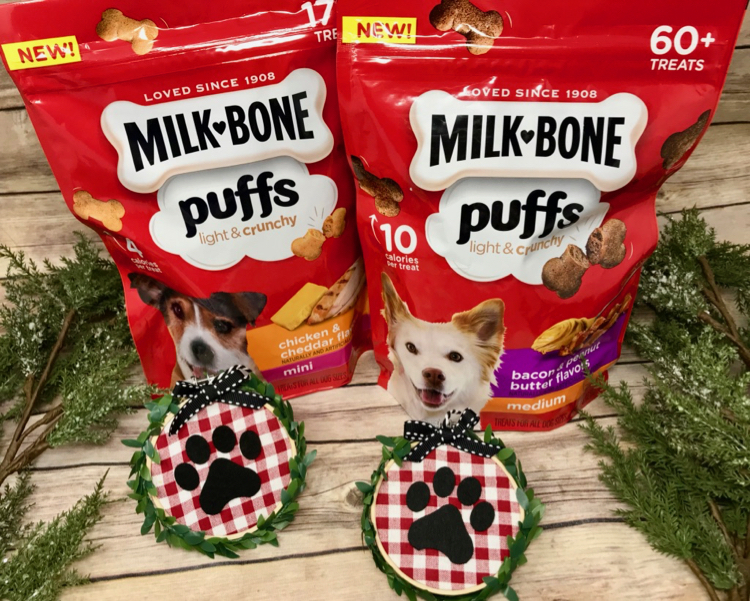 If you are a dog lover yourself, you will want to take advantage of the high value 30% off Milk-Bone Puffs Cartwheel offer valid at Target through November 24th . We’ve been feeding our dog Milk-Bone Puffs light and crunchy snacks for months. I love the fact that they are low in calories, only 4 calories for the mini size and 10 calories for the medium size, so you can feel good about treating Puffs. The fact that they come in to different sizes is great. 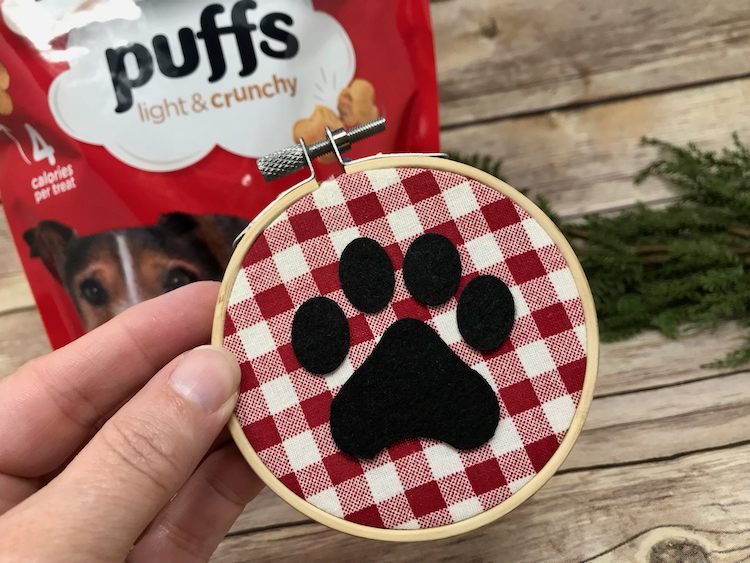 We have a Miniature Schnauzer and it’s often hard to find smaller size snacks for her, the Milk-Bone Puffs in the mini size are perfect for our dog. 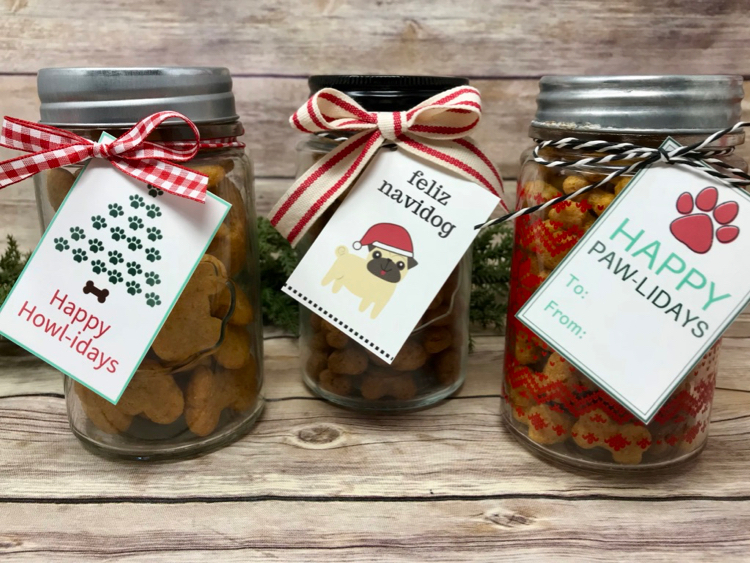 Last week we shared these fun dog treat jars with free printable labels that you can gift to friends and family members that have dogs that they love. Cut fabric about an inch larger than the embroidery hoop. 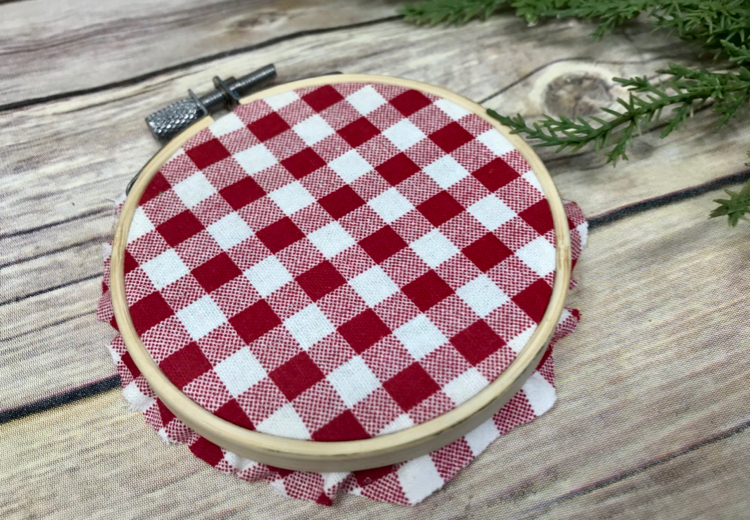 Insert fabric into hoop and tighten. Trim fabric just enough that you can glue the edges into the back side of the hoop. Decide on a dog inspired shape you want for the ornament. 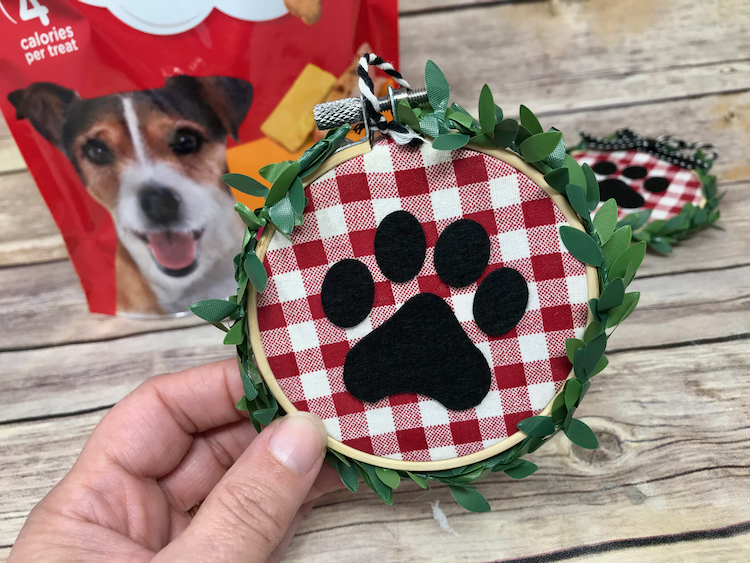 I used my Cricut to cut out the felt shapes, but you can just as easily cut out the shapes by hand, Shapes like paw prints and dog bones are simple shapes to cut out. Once you’ve cut out your felt shapes use a glue gun to attach them to the center of your ornament. Attach ribbon or string to hang the ornament. Decorate the ornament with greenery, ribbons, bells, flower or any kind of embellishments you desire. You could decorate the top portion of the ornament. I chose to use greenery around the entire edge of the circle. 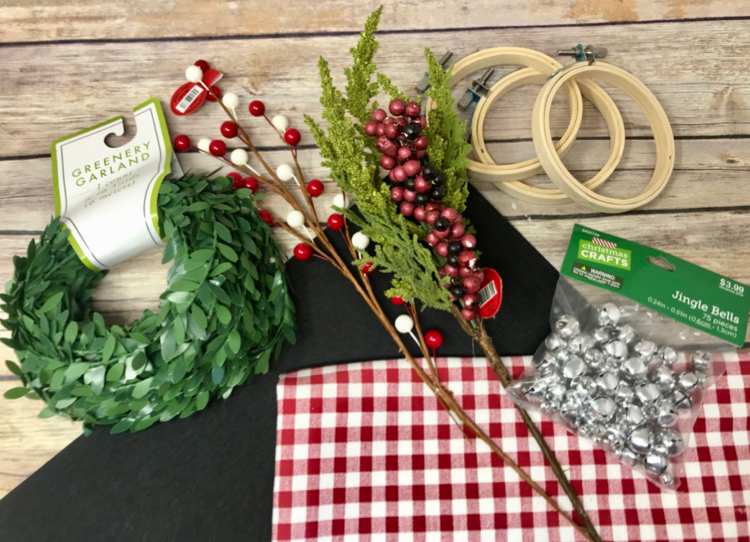 You can find the greenery I used in the Target Dollar Spot. That’s it! 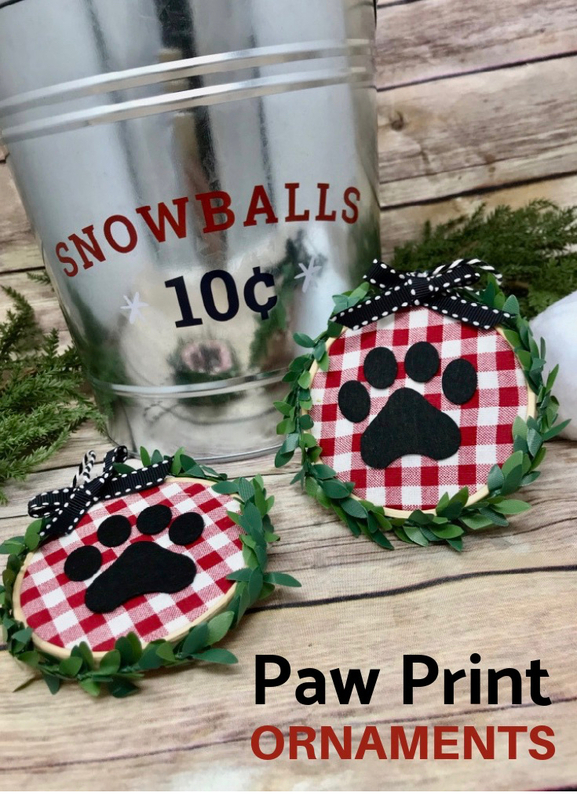 Just a few minutes and you have a cute ornament you can give to your dog loving friends or hang on your own tree. They make cute package toppers too. 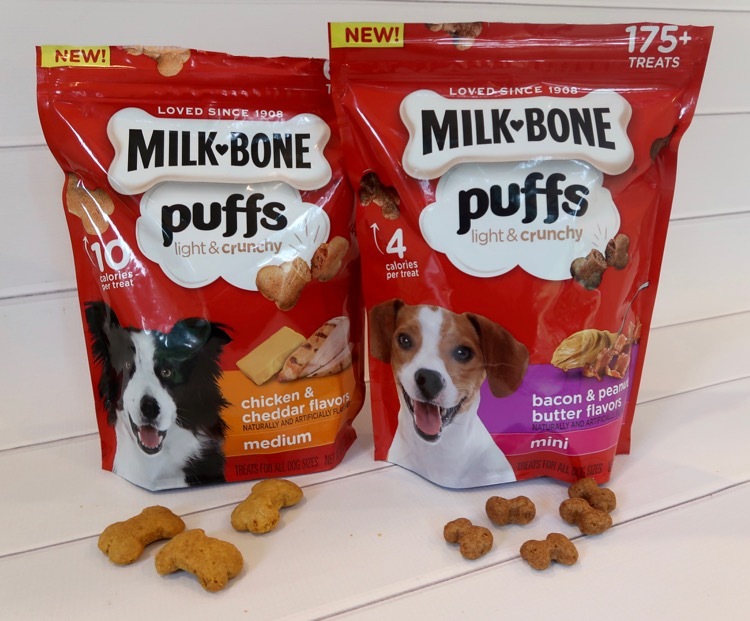 You can find the Milk-Bone Puffs light and crunchy dog treats at your local Target store or online at Target.com. Choose from the Chicken & Cheddar flavors or Bacon & Peanut Butter flavors. Don’t forget to take advantage of the 30% off Cartwheel offer on Milk-Bone Puffs. Using Cartwheel is such an easy way to save! 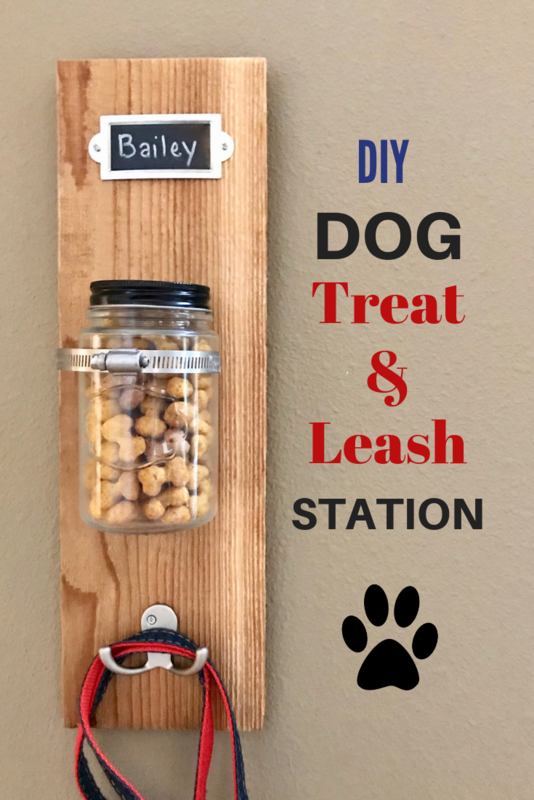 If you are looking for other dog friendly ideas check out this handy Dog Treat and Leash station you can make.